Thank you to everyone who participated! Thanks to the cheerleaders too! All the entries were awesome! It was really hard to pick the winners because everyone had fun and unique entries. Although BadMoon and Mizz Libra did not win a prize, they're entries were all terrific too so I will be sending them a seasonal gift set as Honorable Mention awards. It may take 24hrs for me to send out all the prizes because I'm super busy. Please be patient. If you haven't received them within 48hrs please leave me a message and let me know. Thanks again and I hope you all had fun! 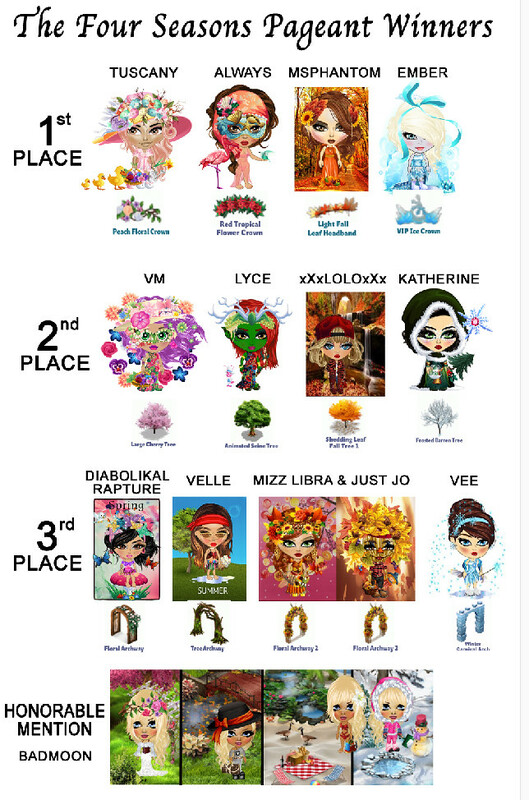 Thank you so much, I absolutely love your contest's!! Thank you for the fun pageant, Illishar! Congrats to all the other entires. Love these. What are the eyes in your winter outfit? Doodler, thank you! The eye's are "Hazel Sayuri MRM 40's eye's NF2017 DC2017" hope that helps? Thanks so much for answering. I'm definitely going to be on the lookout for these contests, now! 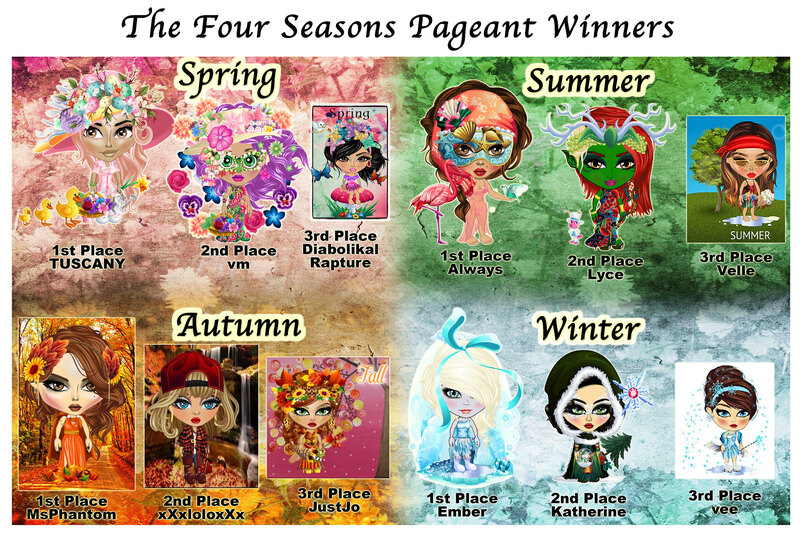 Your welcome, her contest's are so much fun, you wouldn't regret entering them. I always watch for hers! You're so sweet! Thank you! I am SO SORRY about the mix up with Mizz Libra's entry and Just Jo's name. So who won third place in the Autumn category? YOU BOTH DID! Also I am sorry it's taken me so long to get back on here and start giving out the prizes. Life is SUPER busy so I won't be posting a contest until next week (bi-monthly contests this month I guess). Just for fun I'm posting my cheat-sheet for who gets what. Let me know if you don't get your prizes by Thursday! Okay, I've sent out all the prizes to everyone except TUSCANY because she did not post a link. TUSCANY if you read this please visit me and leave a message so I can deliver you prize to you! Thanks everyone for participating and for your patience!